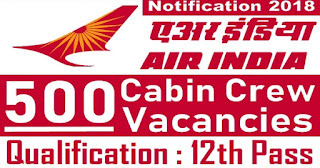 Air India Limited has recently published notification for the 500 posts of Cabin Crew Vacancies. Apply online before or on 12th april 2019. 10th /12th Pass for more details Please Check Official job link provided below.